Splozza – Occasional blogger and reblogger of educational articles. Occasional blogger and reblogger of educational articles. 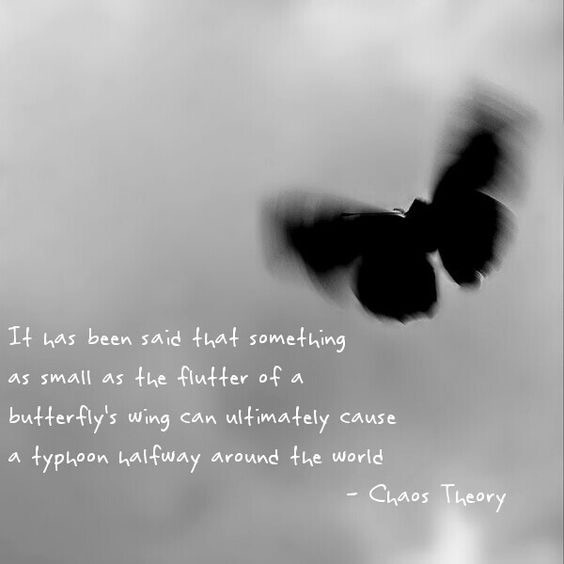 In chaos theory, small causes can have a huge impact. 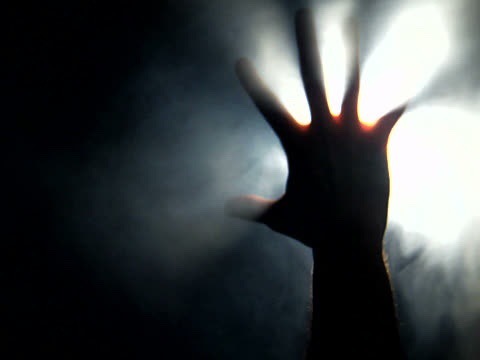 This idea came to be known as the “butterfly effect” when half a century ago, meteorologist professor, Edward Norton Lorenz suggested that the flap of a butterfly’s wings might ultimately cause a tornado. In 2013, Sir Tim Brighouse wrote an article for the Guardian ‘The butterfly effect in schools: sharing simple ideas can have a big impact’ where the ‘butterflies’ are the tips for teaching better. That same year, Alex Quigley followed up this article in Confident Leadership, when he wrote ‘The Butterfly Effect in School’ in which he discussed the conditions needed for the butterfly to thrive. I was particularly struck by the three questions that the butterfly analogy sparked for Alex. What are the ‘butterflies’ in my school and in my classroom? What conditions do I need to create for ‘butterflies’ to flourish? What classrooms and teachers provide the most fertile conditions for learning? 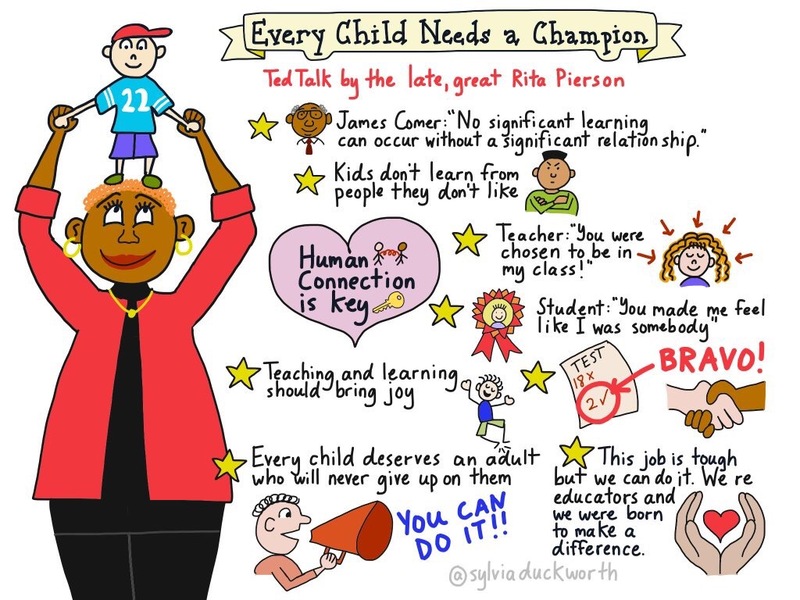 Can we shine a light on those teachers and share their ‘butterflies’? It is worth remembering that whilst teaching is an evidence based profesion, teachers are ‘actively’ gathering evidence every day as to ‘what’ has the most impact on student achievement for their children right now. Whilst, much of what is found is underpinned by the research – reassuring to know that ‘great’ practice stands the test of time – we must be mindful of a changing world and the individuality/complex needs of the children we are teaching today. What works with some children, may not work with others. How will you gather evidence of children’s thinking/learning prior to the teaching sequence, during and afterwards? What direct/indirect evidence will you collect to evidence impact? When/Where and to ‘whom’ will you share your butterflies? There is nothing more powerful in schools than collective efficacy. Where there is an open-door culture. Where teachers are passionately ‘talking’ about teaching and learning and more importantly are empowered to learn from each other. Teachers respond positively, are more motivated and enthused when they don’t feel threatened by a fear of failure. 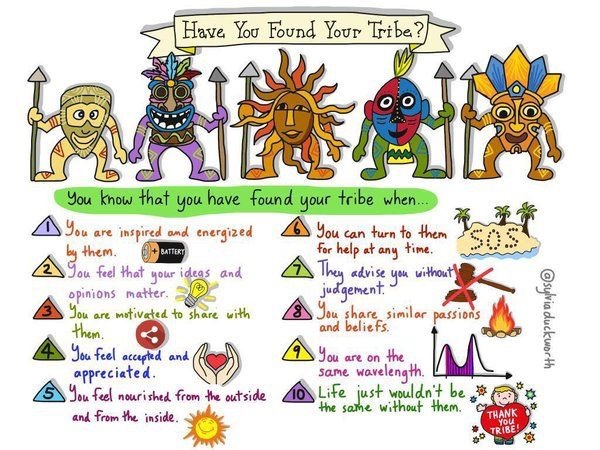 How do you as leaders build collective efficacy in your schools? How many ‘butterflies’ are your teachers sharing? 1) Speed dating – Staff members bring one short snappy idea that they use in their classroom. Each teacher sits facing another and they both share their idea, showing resources and explaining the impact it has on their children. Professionals rotate around until all ideas have been shared with everyone. Teachers can then vote for their favourite idea to take away and implement. by choosing specific themes, best practice can be share din focused areas that link to the School Improvement Plan. 2) Social Media Pages – One of the major barriers to sharing ideas is time. however, everyone finds time to flick through Facebook or Twitter. By creating a ‘Teaching and Learning’ page you can share best practice by literally putting it in their hands. Teachers will stumble upon new ideas that your social media page shares. These ideas can come from observed ideas from lessons or from external sources. As the page grows, you may find that teachers are willing to share their own ideas on the page when something has gone well in class. 3) 3 Minute Presentations – Before staff meetings take place allow an opportunity for a member of staff to share one strategy that works in their classroom. Their challenge is to explain and share within 3 minutes. This can occur at the beginning of the week, so that staff can be encouraged to give the idea a go in their own classrooms. 4) Ideas That Stick – A simple way to share ideas is by creating a teaching and learning display in the classroom. Teachers can stick an idea on a sticky note and post it onto the board. The board can have a variety of categories which help teachers navigate around the display to find fresh new ideas that are relevant to them. 5) The Market Place – Teachers can bring an idea that they use in the classroom and set up a small market stall displaying their best practice. Teachers can move around and talk to teachers about their ideas and the impact they have had on their children. This is a great event to invite other local schools to so that teachers gain new teaching strategies from outside their school. Change is not just coming to education; it is already on our doorstep. With advances in technology and a radically evolving society, it is incumbent upon schools to take a critical lens to their culture and determine whether students will be prepared to succeed in the new world of work. Our students need to be able to create new industries, find new cures, and solve tomorrow’s global problems. We have identified eight keys to design tomorrow’s schools so that today’s learners are prepared for success far beyond earning a high school diploma. Each of these eight keys serves as a puzzle piece for redesigning the education system. Leadership and school culture lay the foundation for improvement. School improvement efforts rely heavily on collaborative leadership. Education leaders are tasked with establishing a collective vision for school improvement and with initiating change to spur innovation, ensure student learning, and increase achievement. In a world where the acceleration of change continues to grow exponentially, school cultures need to evolve at a faster rate to keep pace. A new foundation must be established through relationship-oriented, innovative leadership practices to create a culture of learning that will prepare students for their future, not our past. The learning experience must be redesigned and made personal. Studies in neuroscience have indicated that students typically forget most of the fact-based information that they memorize while in school. Shoving this information into students’ brains wastes time and resources, while engagement plummets. Learners crave the opportunity to follow their passions, explore their interests, and engage in relevant opportunities. Student agency in classrooms (voice, choice, and advocacy) must become the norm, not the exception. Instructional pedagogy must focus on higher-order skills and problem solving, while anytime, anywhere learning must become a realistic possibility for today’s learners. Decisions must be grounded in evidence and driven by a “return on instruction” (ROI). The evolution of educational structures has created a generation of students focused on grades, not learning. Students need to be afforded authentic opportunities to use real-world tools to do real-world work that matters. Improving assessment is a step in the right direction, but a more concerted effort to provide evidence that technology affects learning and achievement is needed. There must be an ROI that gives evidence of improved student learning outcomes supported by data (qualitative and quantitative), artifacts, improved observation/evaluation procedures, and portfolios. Learning spaces must become learner-centered. A shift in pedagogy mandates a shift in learning space design. Such changes are not merely isolated ideas drawn from the latest Pinterest board, but rather wholesale reorientations born of necessity. Schools and classrooms must be transformed from a teacher-centered, industrial-era model to personal, learner-centered spaces that correlate with research on how design influences learning. Learning spaces need to be flexible, provide areas for movement, and promote collaboration and inquiry. Professional learning must be relevant, engaging, ongoing, and personal. Various studies indicate that the top-down, one-size-fits-all, hours-based, sit-and-get approach to professional learning has little to no effect on student achievement. Nevertheless, many schools continue down this path. A more personalized approach to professional learning, where growth is valued more than hours obtained, is needed to shift instructional pedagogy. Technology must be used to accelerate student learning. Many of today’s classrooms use amazing 21st-century tools in 20th century learning environments. Research indicates that one of the most common forms of integration—using tablets or other devices as platforms for digital drill-and-kill—has no effect on achievement. School districts continue to buy more educational technology than ever before, often with little to show for it. However, when it is effectively used, technology can amplify great instruction, adapt to the individual needs of the learner, and make learning more personal. Transformative school design promotes responsible use of and equitable access to technology. Community collaboration and engagement must be woven into the fabric of a school’s culture. Parents are instrumental in their children’s academic success. Yet while some schools work to create a welcoming environment, many others create cultures in which parents hardly feel welcome at all. The majority of businesses and universities have little to no relationship with their local schools. From daily collaboration to consistent, relevant communications, today’s schools need to be collaborative partners and the hub of the local community. Schools that successfully transform learning long-term are financially, politically, and pedagogically sustainable. A budget impasse. A political attack. A shift in instructional pedagogy. How will your school district’s success stand the test of time? With the average district superintendent tenure lasting only a handful of years and the pending retirement of a generation of experienced school leaders, long-term sustainability is needed to avoid turmoil that will negatively affect future generations. Is your school built to last? It’s time to fundamentally redesign schools to overcome obstacles, help families break the chains of poverty, and provide dynamic learning opportunities for all students. We must create and lead schools that are relevant for the world our students live in—not the world we grew up in— starting now. The solution begins with you! Eric Sheninger is a senior fellow and thought leader on digital leadership and learning with the International Center for Leadership in Education. Thomas C. Murray serves as the director of innovation for Future Ready Schools, a project of the Alliance for Excellent Education, located in Washington, D.C. Preview their new book, Learning Transformed: 8 Keys to Designing Tomorrow’s Schools, Today. ASCD Express, Vol. 12, No. 22. Copyright 2017 by ASCD. All rights reserved. Visit http://www.ascd.org/ascdexpress. Justine Greening’s speech at the Sutton Trust’s Mobiity Summit must have given a glimmer of hope to every leader currently serving in schools with challenging contexts. It has been well documented that disadvantaged contexts impact hugely on both educational attainment and school quality, which are typically lower than that of other schools. This is primarily due to the difficulties with the recruitment of high-quality teaching staff, limited ‘short-life’ funding, high levels of pupil mobility and the increasingly low starting points of children, who are ‘quite frankly’ just not ‘school ready’ upon entry. Yet, despite these facts being widely cited, schools continue to be battered by high-level, punitive accountability measures. Is the tide about to turn? Yes, Ms Greening, we do indeed need to move towards a culture of support, rather than this prescriptive, short-sighted approach that sees some leaders reduced to ‘playing the numbers game’ rather than incentivising them to play for the long-term gains that can only be achieved when ‘time’ and ‘money’ are factored into the equation. As someone who has the privilege of working across schools with some of the ‘highest levels’ of deprivation in the country. I see first-hand just what our ‘amazing leaders’ are doing for the life chances of the children in their care. Actions, that simply cannot be measured under our current, narrow ‘data driven’ system. 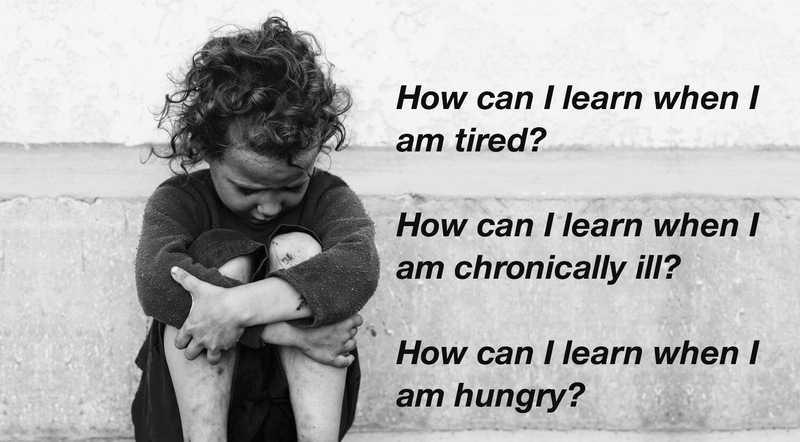 For the 3.7 million children living in poverty in the UK, their most basic needs must be met first – before the learning process can start. I don’t know of any leader who would argue against the need to improve. We just need to be really clear about what we mean by ‘improve’. Leaders, in particularly challenging contexts are generally ‘pretty special people’ who go above and beyond the call of duty to ‘improve’ the quality of life for the children in their care. They know, that success for our poorest children cannot really be measured ‘fully’ until they reach adulthood. When it is hoped, that despite the challenges they faced as children, of low aspirations, low income and unemployment, poor housing, poor health, tiredness and hunger, they emerge fully prepared from our education system, with the knowledge, skills and understanding to take their place in society. This can only be achieved, when leaders of our schools in challenging contexts, across all phases, ensure that our poorest children are fed during term time and through the holidays; make provision if they need a place to sleep during the school day; enrich their lives through engaging learning experiences and above all, keep them safe, loved and nurtured – because that is what our poorest children need. It is with this relentless focus on ‘improving’ the life chances for our poorest children that will give them the fighting chances as adults, to compete against their more privileged counterparts in securing a sustainable income through long-term employment and a longer life expectancy. Surely, that is the real measure of success? Most leaders are guided by a strong moral compass who genuinely want to make a difference for children. Yet when you hear of dedicated leaders exiting the profession due to the stress caused when a set of results does not meet the ‘required standard’ and the context of the ‘why’ is pretty much ignored. You know that we haven’t got it right YET! We all need to work together to secure school improvement in our most struggling schools. This improvement must be contextualised because there is not a ‘one size fits all’ solution to the challenges they are facing. Schools serving depriving communities need ‘time’ to improve outcomes for children. Fund them well – and let them lead the way! For me they are a succinct, visual summary of key ideas, connections and hierarchies. Really great sketchnoters can capture and communicate the true essence of a presentation. I love them. 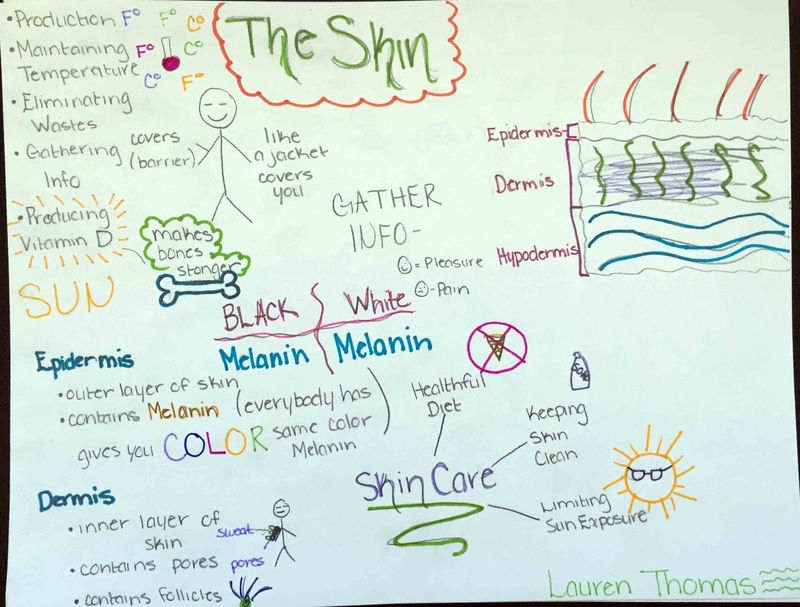 So, should we be encouraging students to make sketchnotes in the classroom? Would they give us a greater insight into their understanding of concepts/ideas? 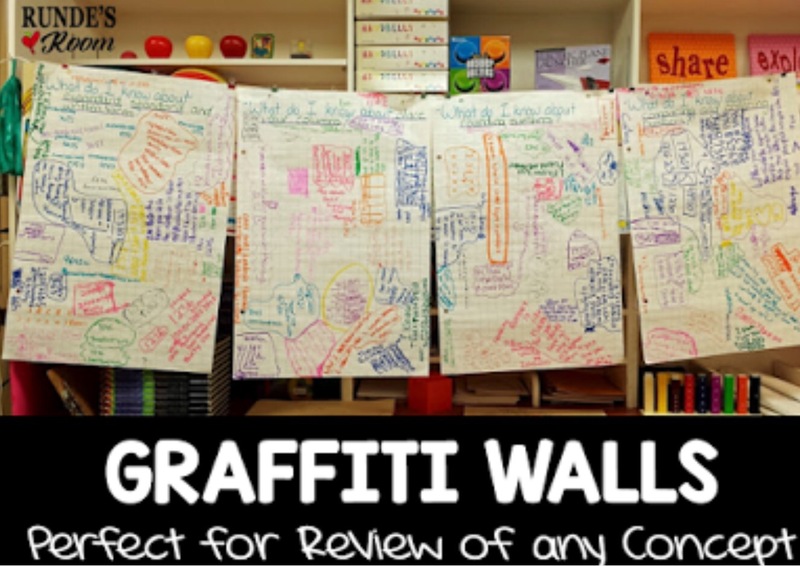 Are they an effective way to make learning truly visible? To make thinking visible? Katrina Schwartz, who writes for KQED’s education blog MindShift, published the article ‘Making Learning Visible: Doodling Helps Memories Stick’ in 2015. 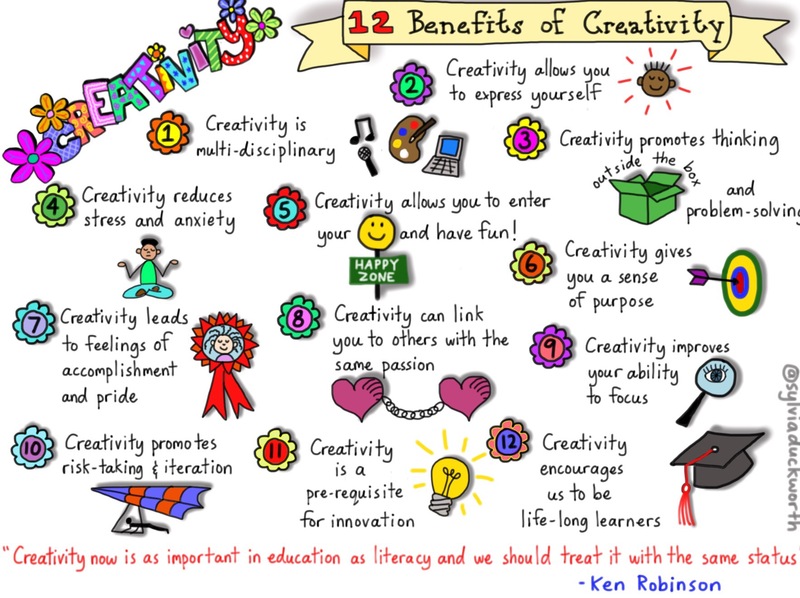 Sarah’s blog has links to class sketchnotes. Check out the Graffitti Wall below. Such a great idea! 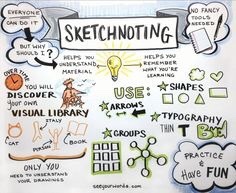 I wonder how many educators are using sketchnotes in the classroom. It would be great to hear from you. Some of my favourites from the fabulous Sylvia Duckworth! Featured image by Silvia Tolisano, Educational Consultant GloballyConnectedLearning.com 21st Century Learning Specialist- Technology Integration- World Language Teacher. Posted on February 5, 2017 Categories UncategorizedLeave a comment on Scintillating Sketchnotes! We are facing a recruitment crisis. We all know it – despite having to constantly hear from the government that teacher numbers are rising and that it is the unions talking down the profession. As a member of the NAHT Executive I take particular exception to this. When you sit in a room with colleagues from around the country and hear how they are all struggling to recruit. Let’s be clear about this. Houston we have a problem! Yet, this crisis is not just about teachers. 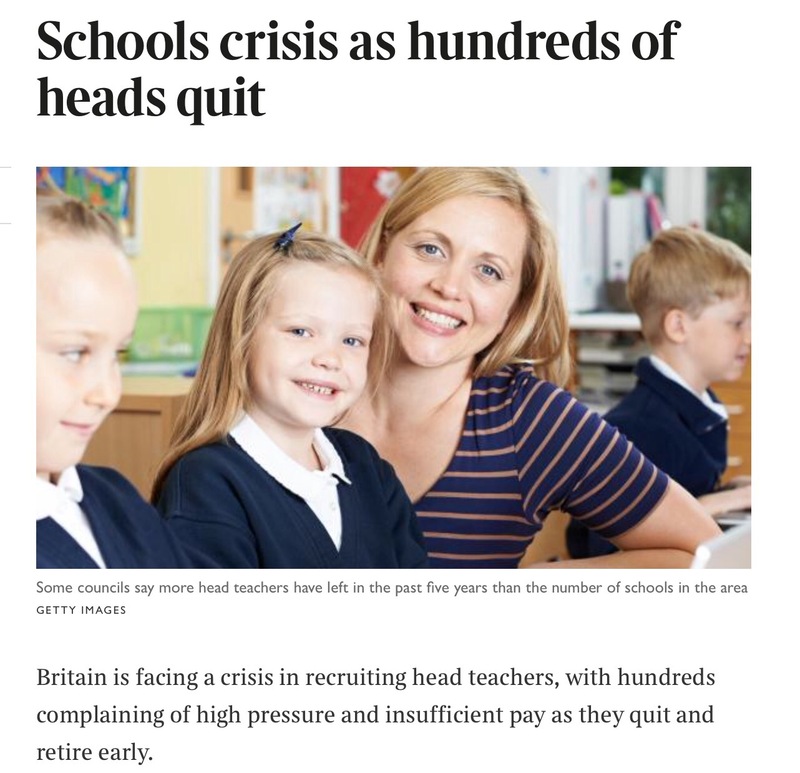 We are facing a crisis in recruiting headteachers (not just this side of pond either). The Times recently carried out research that revealed that one in ten schools is losing its headteacher each year. Some schools have been left without a head for up to three years and that some local authorities have seen more headteachers leaving the past five years that the number of schools in the area. The million dollar question of course is – what is the answer to this crisis? I was at a recent event listening to an Ofsted Inspector talking about leadership and succession planning. Herein lies the challenge. In order to plan for succession you need teachers to stay in education for more than a couple of years and you need experienced leaders stay in education, so as to role model great leadership to them. When asked if Ofsted had a solution – it was neatly batted back to the profession as our problem to solve. Great! Leaders are leaving in droves – we are struggling to recruit teachers – budgets are being slashed. Thanks for that! Fortunately, we are a driven and solution focussed profession! 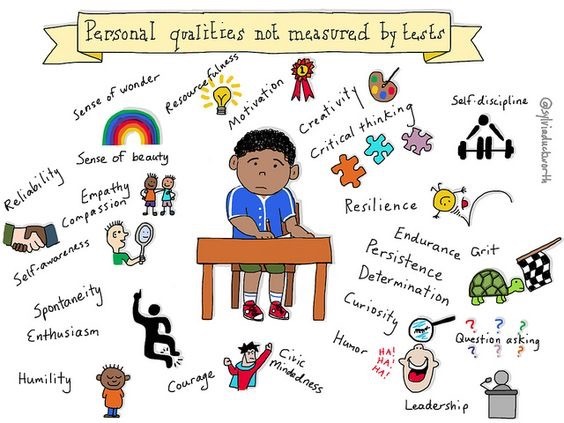 Yes, Mr Ofsted Inpsector we can identify talent. Yes, we can fast-track this talent. Yes, we can take the altruistic approach and applaud when our teachers and leaders leave schools and join others knowing that they are still in the system. If only this was a true reflection of the educational landscape. In reality, if you are trying to turn a school around and you also happen to be located in an area of deprivation and in a known hard to recruit area – it is a mammoth task trying to get teachers in schools and then get them to stay. Leaders of these schools are taking ‘resilience’ to another level, when constantly faced with having to rely on the revolving door of supply teachers just to get someone in class (at least someone is profiting). I’m not even going to go into the numerous other challenges faced by our increasingly stressed headteachers. So, and the reason for my blog. Let’s champion our leaders. I would like to invite leaders to share their success stories with the world via the twittersphere using #talkupleaders (here I must thank Paul Garvey of Talk for Teaching who started #talkupteaching you can follow him @PaulGarvey4).